I’m looking forward to seeing this very cool M Coupe (photo by Ben Sweet) in person at Dorkfest in Monterey, CA this Saturday at Mazda Raceway Laguna Seca. I saw this Coupe for the first time in photos as it was being detailed locally here in AZ at Pit Stop Auto Detailing. I came to find out that I knew of the owner, but had no idea it was his. He’s already been enjoying the O’fest activities and is planning to join Dorkfest on Saturday with BOTH of his M Coupes, one being this PPG Pace Car. WOODCLIFF LAKE, NEW JERSEY, December 11, 1998…A BMW M Coupe will join the PPG Pace Car team and be featured at select CART Championship Series races in 1999. The car will debut at the Greater Los Angeles Auto Show January 2-10 before heading to race tracks around the country. The PPG Pace Cars are a team of custom-built, high performance pace cars that appear in parade laps and alternate as the starting pace cars for the CART racing series. 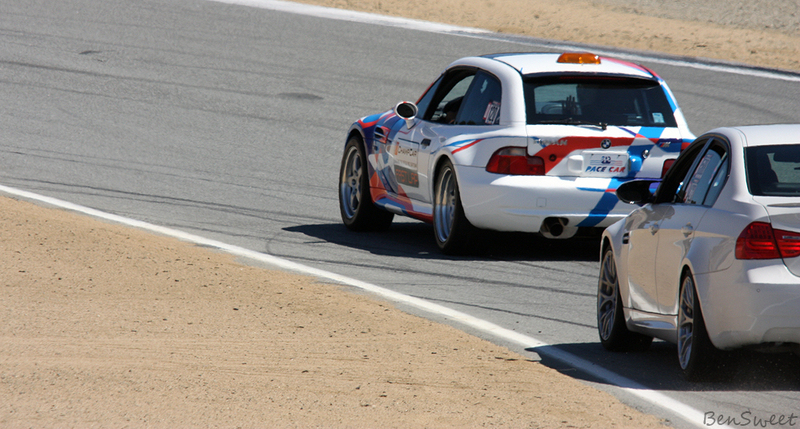 The exciting and artistic paint scheme for the M Coupe which features BMW’s signature motorsport colors was created by the BMW subsidiary, Designworks/USA, located in Newbury Park, Calif. The complex design features a brilliant display of shapes that highlight the unique body style of the M Coupe. 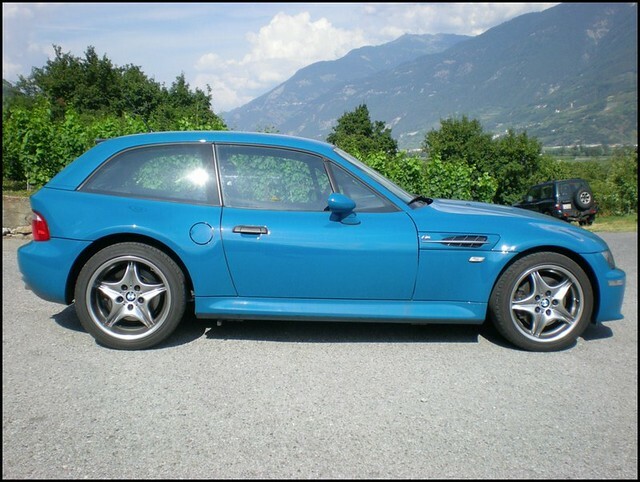 The M Coupe is fitted with special light alloy wheels and the interior design coordinates with the paint scheme. The M Coupe PPG Pace Car is the result of numerous hours of work between Designworks and PPG to produce what will be one of the most noticeable cars at any CART race.